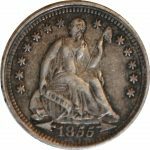 The Seated Liberty Half Dime was minted from 1837-1873. Designed by Christian Gobrecht. 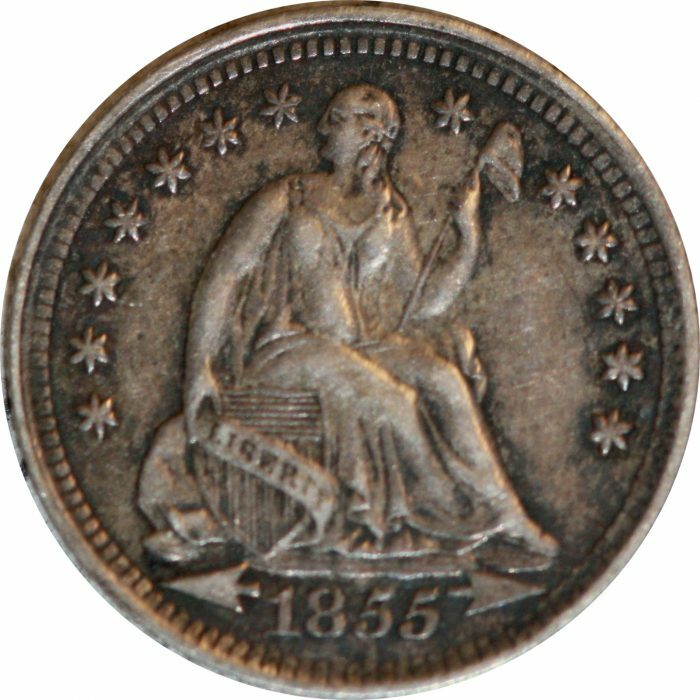 The obverse contains a seated Liberty on a large rock with a Liberty cap on the end of a staff. The reverse contains the words Half Dime, United States of America and two Olive Branches formed into a Laurel.